Though I haven’t blogged in a while, I’ve actually been knitting and crocheting quite a bit. 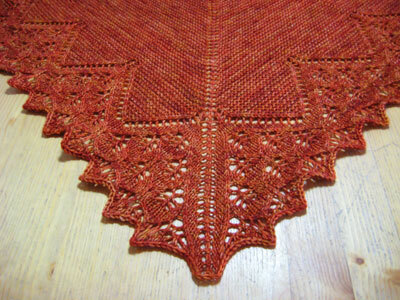 So here’s a finished piece from last May – the Eiki Shawlette. This was a fun project that had the perfect ratio of relaxing garter stitch and an interesting lace pattern – my favorite kind of knitting. 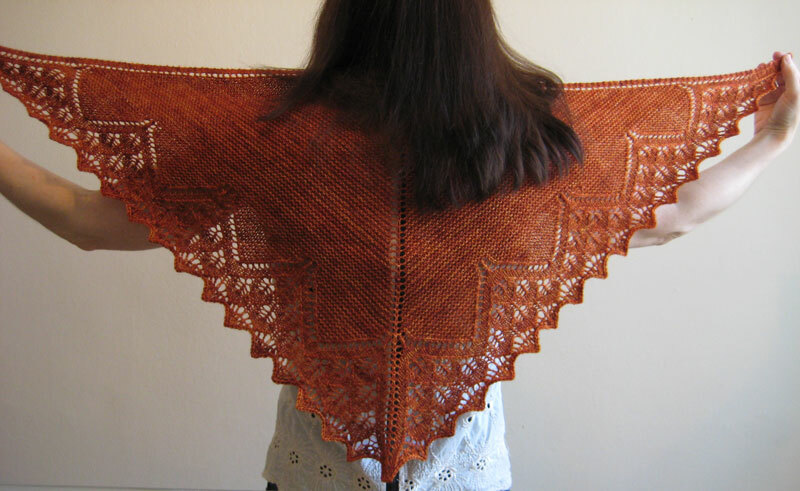 The pattern is by Janel Laidman and I knit it using the super squishy and wonderful Kelpie Fibers Taliesin MCN Sock yarn in the Zanzibar colorway. Now I just need to figure out how all those french chicks wear these things and look so cool.